The book represents a systematical development of several rarely used or new mathematical techniques to construct new wave equations for elementary particles. On this ground, it develops the quantum mechanics of the particles with additional electromagnetic structures in presence of external electromagnetic fields, and, on the curved space-time background, it details many new exactly solvable problems in the field. 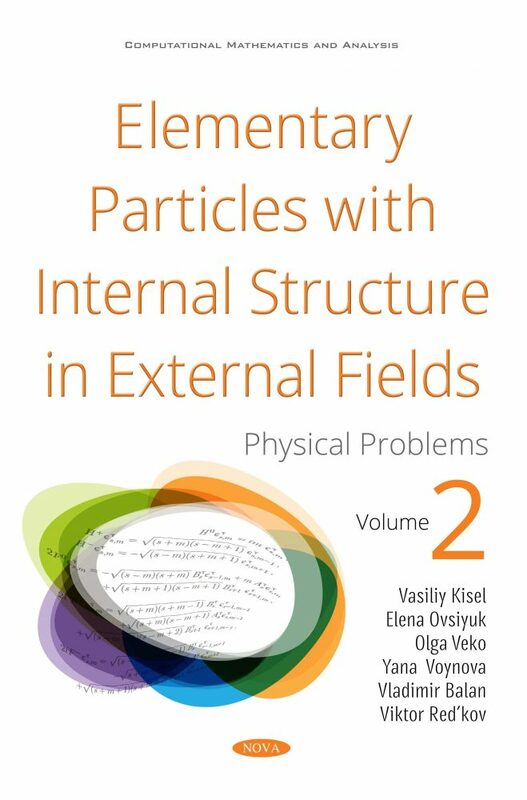 In Volume II, the wave equations for particles of spin 0, 1/2, 1 with additional intrinsic structure (such as polarizability, anomalous magnetic moment, quadrupole electric moment, Darwin–Cox structure) are solved for several special types of external electric and magnetic fields, in Minkowski flat space and in spaces with simple non-Euclidean geometry: hyperbolic Lobachevsky and spherical Riemann models. The main attention is focused on new and additional effects which are due to the more general structure of the wave equations in presence of external fields. The following problems are considered: reflection of spin 0 and spin 1 particles by an effective (geometrical) medium; Schrodinger and Dirac particles in electric field on the background of Lobachevsky and Riemann models (LR-models); Dirac-K¨ahler boson in LR-models; spinless particle with polarizability in Coulomb and magnetic fields; spin 1/2 particle with anomalous magnetic moment in homogeneous magnetic and electric fields, and in Coulomb field; spin 1 particle (ordinary and with polarizability) in external magnetic field; spin 1 particle with anomalous magnetic and quadrupole moment in magnetic and electric fields; spinless Darwin–Cox particle with intrinsic structure in external electric and magnetic fields in Euclid, Lobachevsky and Riemann models; fermion with two masses in presence of magnetic field.